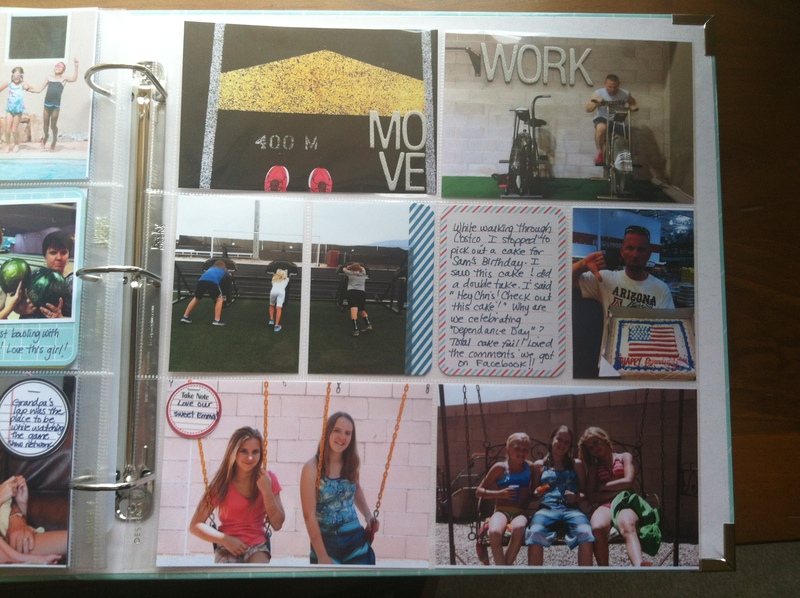 Project Life 2013: Week 27 | I am JuJu! Hi there! 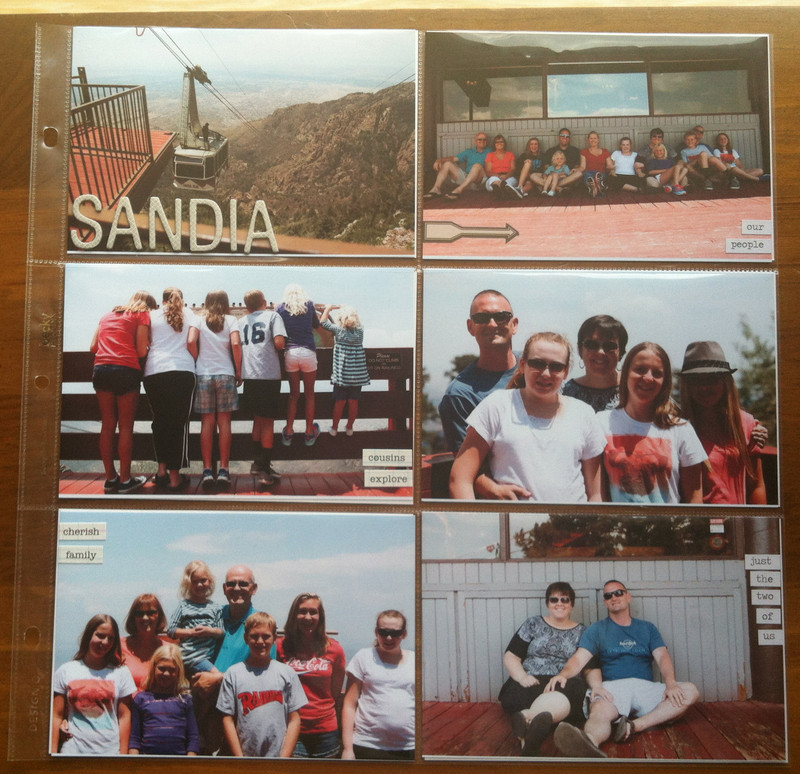 I’m happy to be sharing the pages from the second half of our trip to New Mexico this summer. I had a perfect balance of pictures taken by my iPhone, my Cannon, & my sister. We had a fun week spent swimming, exercising, visiting with friends, and spending time as a family. We also received the sad news of the Granite Mountain Hot Shots perishing in the Yarnell fire on Sunday night. You can see the two posts I did about the memorials through town here and here. Our family took a trip up the Sandi Peak Tram one of the days we were there and my sister was able to snap tons of family photos. I included an additional insert (design c) that included my favorite photos from that day. That’s it for this week! 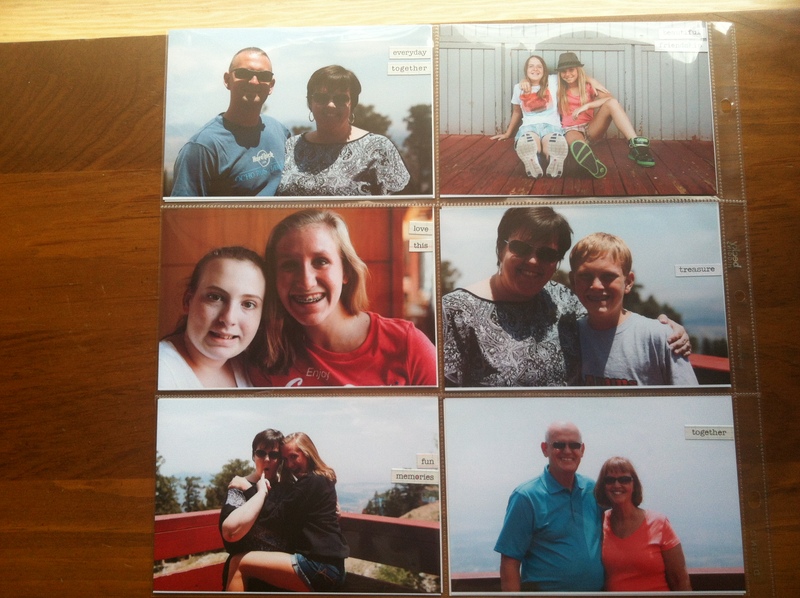 I had lots of pictures that I wanted to include so it is picture heavy, but I love it! 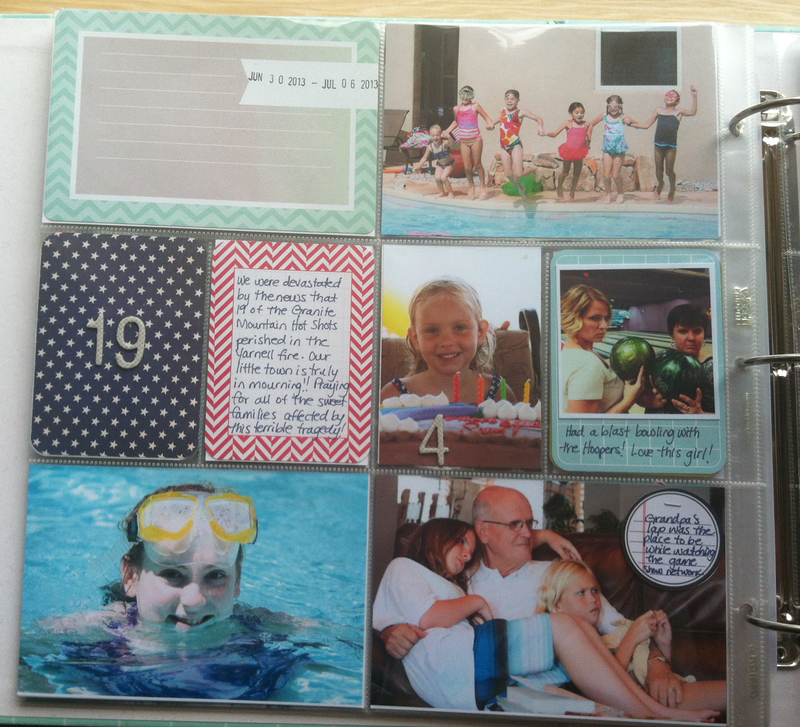 I’m linking up with The Mom Creative, so head over and check out all the other Project Life pages. This entry was tagged documenting the everyday, everyday, project life, project life week 27. Bookmark the permalink.